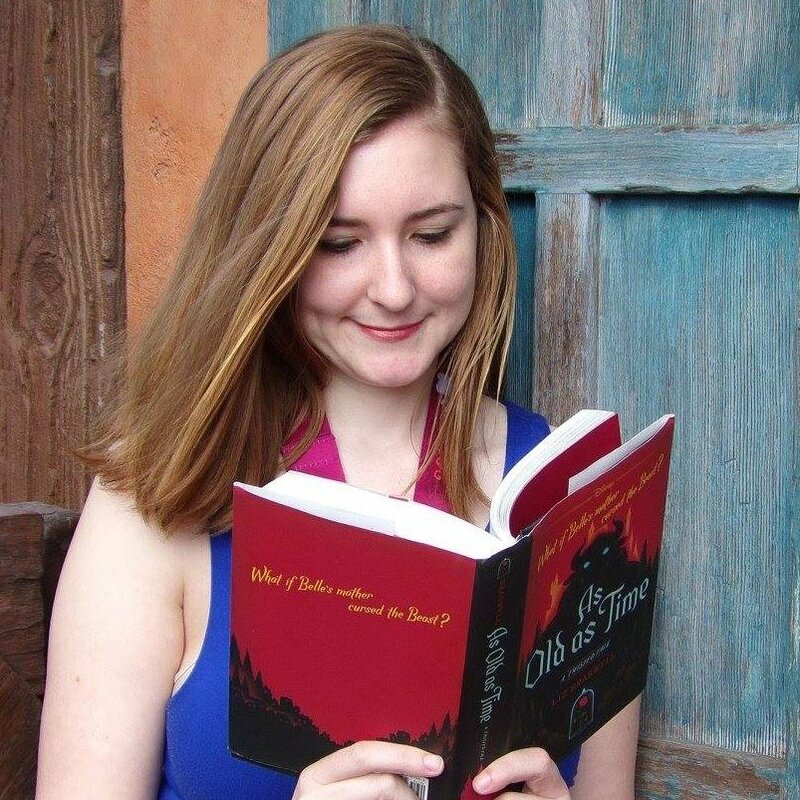 While this post isn’t directly related to Disney, it is about blogging and I thought it might be relevant to other bloggers who read, or people who want a little “peek behind the scenes” of what I do! While my favorite part of blogging is actually writing posts, it’s only a small portion of what I do. So much of it is trying to reach people using social media, marketing, etc. Pinterest has been the biggest success for me in terms of getting my content to Disney fans who want it. I use Pinterest all the time so I understand why other people would too! I knew Pinterest was a good way to reach people, but I was surprised (and excited) to see on my profile that I’m now getting 1.2 MILLION pinterest views a month! A lot of other bloggers have asked about my Pinterest strategies, so I figured I’d share here. Add text that gets people interested! I use Canva to design all of my pins. There might be a small learning curve but once you play around with it I find it very easy to use. Tailwind has become probably the best tool I have for blogging that I pay for(aside from the obvious like WordPress and my hosting). It’s the perfect way to organize and share your pins. There is a free trial, so I’d highly encourage people to try that out and see if they like it. I started that way and soon discovered how valuable it was for my blog. Schedule your pins. This is so useful. I can have tailwind automatically add my pins to Pinterest all throughout the day so I don’t have to worry about going on many times throughout the day, or just pinning a bunch of things at once. It even optimizes the timing of your pins for what times work best. Tribes. This is a fantastic way to find other creators sharing similar content. I belong to some “Disney Blogger” tribes, and everyone shares their pins to the tribes. In return for sharing you repin other content. This gets your pins shared to a variety of Disney pin boards! Smart Loop. Add your “evergreen” content here (these are posts that are relevant for long periods of time, not just news stories). Tailwind will now automatically repin this content on a looping basis. Insights. Get all sorts of great analytics and insights about how your boards and pins are doing. You can try it out for free, but if you really want to use it well I highly recommend the plus plan. And if you use my referral link you get a credit of $15 – that’s one month of plus for free. As great as Tailwind is and as useful as it can be to automate things, actually going on Pinterest and using it regularly is very important to success. It’s a more organic way to grow your audience when you’re actually on the platform. Plus when you use Pinterest as an actual user it gives you a better idea of how it works and what people are looking for. I personally love Pinterest! I use it not only for Disney ideas but for recipes, organizing ideas, etc. I feel like since I’m someone who uses it I get the perspective of both a creator and the audience. Joining group boards are another great way to reach large groups of people who are interested in what you have to share. Just make sure you follow the rules of the group board! It’s usually pretty straightforward, like pin someone’s stuff for every pin you put on the board, or don’t pin more than 2 pins a day. No one likes a link dropper, and the best group boards are the ones that are well monitored and everyone plays fairly. There are a few different ways to find group boards, but the best way I’ve found is simply to see which group boards other similar Pinners are using. For instance, I’ll visit the Pinterest pages of other Disney bloggers and see which group boards they have and then apply for those. This goes along with the Group Boards and the Tribes on tailwind, but repin stuff from others! Pinterest is a platform that rewards you for sharing a high quantity of quality content. Some experts even recommend pinning 80% other content, 20% your own. I’m probably more in the 70/30 range but it definitely helps when you’re not just sharing your own stuff. I mentioned it earlier, but “evergreen” content are posts that will pretty much always be relevant. I wrote my post with a Dole Whip recipe about 4 years ago but it’s still getting a ton of hits every day. On the other hand, my post “Upcoming Disney Movies of 2019” was really big this month, but it won’t be relevant anymore a year from now. Unlike facebook or twitter, which are great for current events and news, Pinterest is actually more of a search engine than a social media site. The items that will do well are the ones that will be around for a long time. You never know when a pin might go viral – it could very well be months or even years after you published it. Pinterest definitely goes through waves, with people searching for certain things at particular times of the year. Some of it might be obvious – share your Halloween and Christmas posts more in the months before those holidays. January is a great time for Pinterest if you have fitness stuff, healthy recipes, or travel planning pins to share. There is SO much to learn about Pinterest and what approaches to take to using it. I signed up for an online course that I could complete in my own time, which had videos and worksheets to assist me. There are lots of courses but the one I did was called Pindepth. I enjoyed it because it went above and beyond the basics, which I already knew a lot about. Do you use Pinterest? What are your favorite tips?